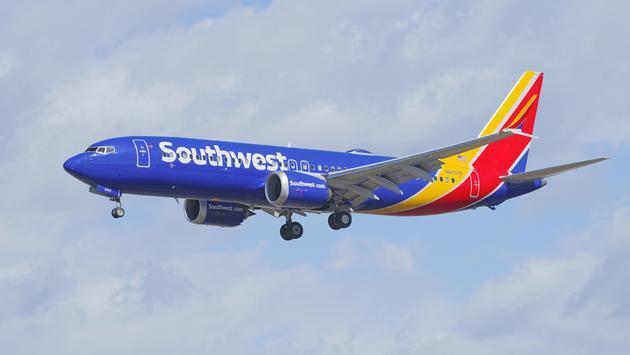 A 29-year-old man prompted a Southwest Airlines flight to make an emergency landing Tuesday after allegedly harassing a female passenger and becoming belligerent with the flight crew. According to Dallas News, Justin Riley Brafford is facing a felony count of interference with a flight crew and a misdemeanor assault charge following his troubling behavior aboard a flight from Los Angeles to Dallas. A criminal complaint states that Brafford was in a middle seat when he put his arm on the leg of the woman in the aisle seat as the plane was preparing for takeoff. At first, the woman leaned away and tried to ignore him. However, she said Brafford got closer and started "playing footsies." The woman said she asked him to stop but the harassment continued, with Brafford allegedly tugging at her sweater and asking her personal questions such as her name, where she lived and whether she was staying alone at a hotel. He also asked her out and whispered "don't [expletive] with me" into her ear, she told authorities. Brafford again confronted the woman after she was moved to a new seat. 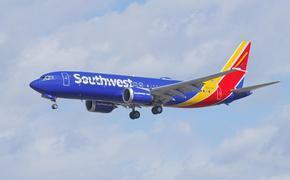 A flight attendant said the woman was crying when he brought her a drink. After confronting Brafford, the flight attendant noticed he wasn't acting "like a normal person" and seemed to go "from zero to sixty in nano-seconds," the complaint states. Thinking the man might be on drugs, the flight attendant alerted the pilot and the flight was diverted to Albuquerque. Flight attendants prepared restraints and blankets to subdue Brafford just in case. The flight landed without incident and he was taken into custody, telling authorities that he had thought the woman was flirting with him and that he must've misread the situation. Brafford also admitted to using methamphetamines the day before the flight and claimed he had overdosed on heroin Saturday. He also told the FBI that God had been talking to him during the flight. Dallas News reported that the flight and two others were delayed an hour and a half as a result, with a number of passengers missing their connecting flights. "The safety and comfort of everyone on board every operating aircraft is our highest concern," Southwest reaffirmed in a statement. Sexual assault on commercial flights continues to be a growing problem. After all, a recent Association of Flight Attendants-CWA (AFA) survey of 2,000 flight attendants found that roughly one in five had received a report of passenger on passenger sexual assault during a flight. However, in those incidents, law enforcement was contacted or met the plane fewer than half the time. If convicted, Brafford would face up to 20 years in federal prison for interfering with the flight crew and up to one year in jail for assault. Together, the charges could result in fines of up to $350,000.